Deutsche Post DHL Group announced reaching an accord on the terms of a recommended cash offer to acquire the entire share capital of UK Mail Group plc (UK Mail), one of the largest integrated mail and parcel operators within the UK. The step will open up the doors for DP-DHL to bring its expertise in e-commerce and parcel delivery together with UK Mail’s existing customer base and network, to drive substantial shareholder value. In a release, DP-DHL emphasize that the acquisition of UK Mail will strengthens the European market position of DHL Parcel, adding a commercial and operational presence, including pick-up and delivery capabilities, in the UK, Europe’s largest e-commerce market. DP-DHL Group’s cash offer of GBP 4.40 per share values the entire issued and to be issued ordinary share capital of UK Mail at GBP 242.7 million, which represents a premium of 43.1 per cent over the closing price per UK Mail share on 27 September, 2016. The Directors of UK Mail intend to make a unanimous recommendation that company shareholders accept the offer. 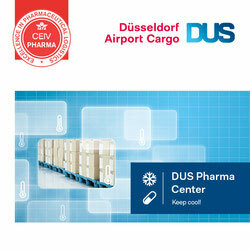 DHL Parcel is the leading parcel delivery company in Germany, Europe’s largest parcel market by volume. It has expanded its cross-border network since 2014 to cover 18 European countries. 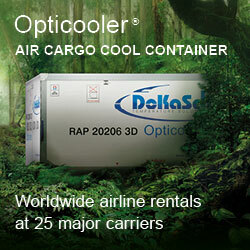 The low-cost carrier intends utilizing lighter and stronger baggage containers on its Boeing 787 fleet. The new containers, provided by Zodiac AirCargo Equipment offer increased protection for passengers’ checked luggage on the airline’s long-haul flights. 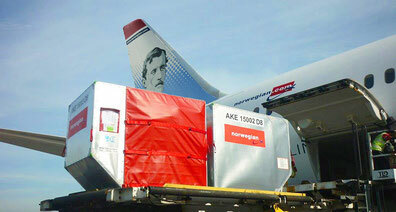 Weighing just 51kg, at least 37% less than traditional containers, the new equipment will help to reduce fuel burn on Norwegian’s 787 Dreamliners, states the airline in a release. Following a bidding process, Etihad Cargo appointed ACP as general sales agent for the carrier’s air freight business in Australia and New Zealand. This accounts for flights from Sydney, Melbourne, Perth, Auckland and Brisbane to Abu Dhabi and beyond. Both companies started their cooperation in 2010. Both carriers have widened their existing capacity sharing accord on flights between Helsinki and London Heathrow. In addition to the existing two weekly services operated with Airbus A350 so far, three more A350 flights will be introduced as of 3 October, thus upping the transport capacity for air freight offered to the market substantially. 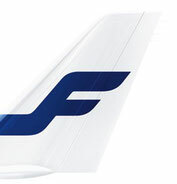 Finnair Cargo joined IAG Cargo’s Partner Plus Program in early 2015 to stimulate further growth and to deliver enhanced network connectivity to their clients.